The 1978 cult classic, Dawn of the Dead is hitting the big screen — under the stars and next to the dead at Hollywood Forever Cemetery on Saturday, Oct. 20. If you’re a horror buff, you do not want to miss this awesome screening. Opening up and closing the evening’s Cinespia event will be the Gaslamp Killer (an L.A. favorite of ours) — AND, it’s bring your own picnic! Pack some drinks, eats and blankies for this spooky night under the stars. As part of Nightmare City, a city wide horror-fest with 73 events in 20 days, including live music, horror films, parties, artshows — all in celebration of the horror genre! 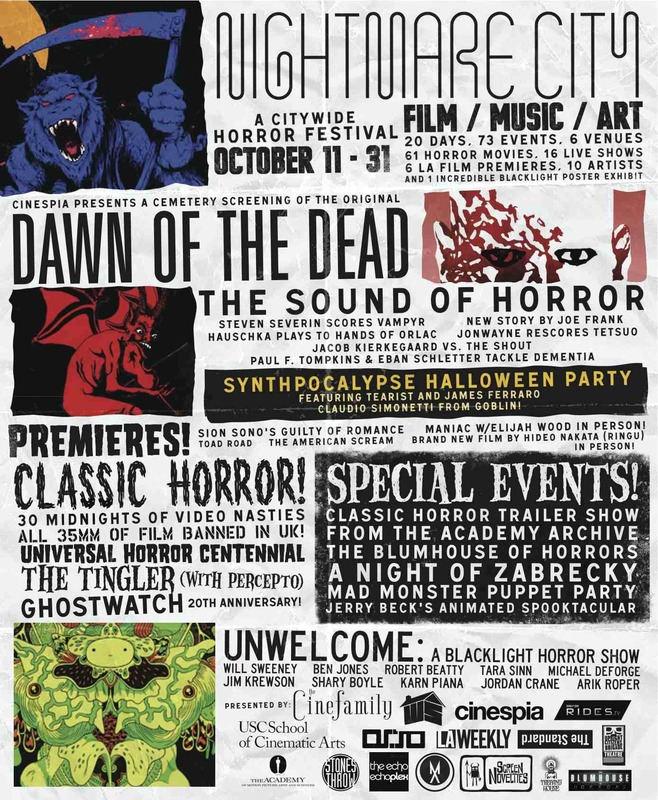 Highlights include: Claudio Simonetti of Goblin performing live, Steve Severin from Souixsie and the Banshees live score to Vampyr, a Cinespia screening of the original Dawn of the Dead at Hollywood Forever Cemetery, as well as Hideo Nikata, director of the original Ring, in person with a new horror masterpiece. 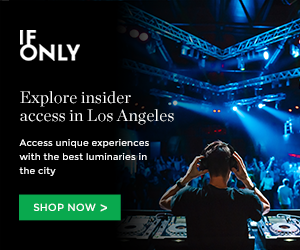 There’s comedy, puppet shows, panels, dance parties and DJs! Click here to see the calendar. This entry was posted in Films and Flicks, Just Announced and tagged cinespia, cult classics, dawn of the dead, halloween, Hollywood forever, horror, horror films, movies, nightmare city on October 11, 2012 by Sandra Burciaga Olinger.